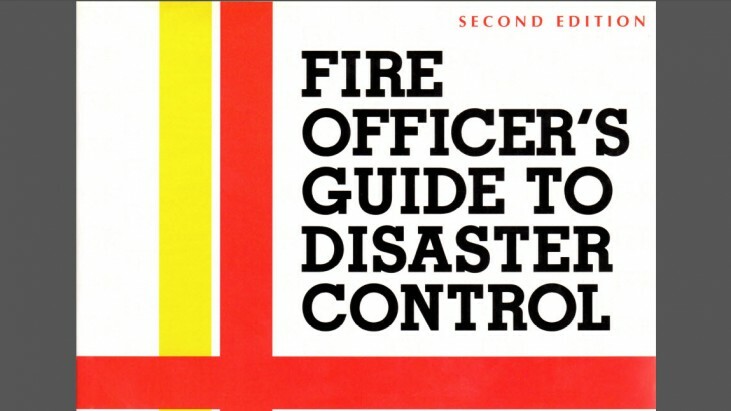 Chapter 13 of the FIRE OFFICER’S GUIDE TO DISASTER CONTROL by WILLIAM M. KRAMER, Ph.D & CHARLES W. BAHME, J.D. deals with an enemy attack associated with the UFO phenomenon. It should be noted that this is not an official declassified government document, but rather, a book that was published in 1992. All copyrights are owned by their respective owners, and this excerpt below is considered ‘fair use’ under the copyright law. It is archived here for reference, and research. Also included below, thanks to a member of The Black Vault, is a .pdf high resolution scan from the book itself. Although the text has circulated for many years, there are not many sources for the book itself. Special thanks for their anonymous contribution. 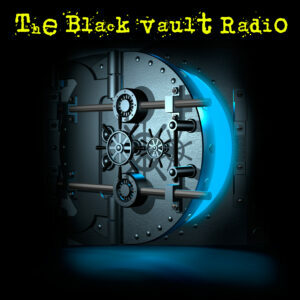 Post your thoughts on this Fire Officer’s Guide on The Black Vault Message Forums. In this chapter we will now turn our attention to the very real threat posed by Unidentified Flying Objects (UFOs), whether they exist or not. The well-documented and highly publicized War of the Worlds radio drama by Orson Welles shows how even a perceived existence to alien creatures can cause very real disaster-like conditions and panic among a given populace. In addition, if the apparent visits by alien beings and their space vehicles should pose any type of threat, it will, as always, be the fire service that is called upon to provide the first line of life-saving defense and disaster mitigation. On April 25,1991, radio station KSHE in St. Louis, Missouri was fined $25,000 by the Federal Communications Commission for broadcasting a mock warning of a nuclear attack during the Persian Gulf War. The seriousness with which the FCC treated this case is indicative of the very real panic that can be created from even illusionary or fictional phenomena. Certainly if these unexplainable events become more prevalent, the possibility of panic could be even greater; and again, the fire department will be the agency called upon to handle the situation. (35) Hence, as we near the year 2000 and move beyond, any comprehensive disaster plan should address the potential for panic and other deleterious effects that might befall a populated area when unexplainable phenomena occur. We will see, as we continue our discussion in this chapter, that widespread blackouts, communication disruptions, and other potentially disastrous conditions have been linked directly to UFO sightings. Hence, fire service leaders who want to ensure that their disaster planning is complete will not neglect an appendix to outline those things that could be done in preparation for the occurrence of such phenomena. Throughout this book, many of the references to actual events are based on the experiences of both of the authors. However, in this area of UFOs and their potential, we are relying largely on the research and experiences of Charles Bahme. Chuck has made a considerable study of this subject and is acquiring many publications and VCR tapes to augment his library on this and related phenomena. 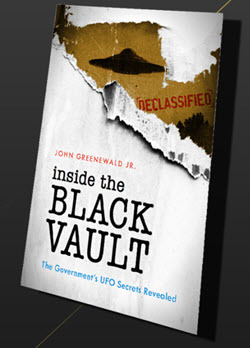 His interest in UFOs was greatly heightened when Congress in 1969 adopted a law (14 CFR Ch. V Part 1211–Extraterrestrial Exposure) which gave the NASA Administrator the arbitrary discretion to quarantine under armed guard any object, person, or other form of life which has been extraterrestrially exposed. The very fact that our congressmen believed there was a necessity for such drastic authority made Chuck wonder if they had only our astronauts in mind when they adopted it. Could it be applied to anyone who has had a UFO encounter? Whether it has or not is not likely to be a topic for public dissemination. UFO Discussion – Why Now? There is no uncertainty about the reality of the war between nations on our planet and the disastrous effects of military actions. The 200 sorties flown every hour against Iraq in the Persian Gulf provided ample evidence of global war’s destructive power. On the other hand, there are many persons who may believe that a discussion of the theoretical harm that could be caused by a real or imaginary invasion of UFOs would be ‘far out!” But this is not so for the thousands of witnesses of unexplained aerial phenomena. To them it is also serious business. Chuck’s interest in UFOs commenced during the early morning hours of August 26,1942, while he was roller skating from his house to the nearest fire station a few blocks away; the wail of sirens had signaled his recall to fire duty, and with the stringent blackout orders in effect. driving was not wise; besides, it was much more exciting to be out in the open where he could see the spectacular aerial “fireworks” that filled the heavens all around him. Few residents of the U.S. had ever experienced a real or imaginary invasion of UFOs like that which occurred in what has become known as “The Los Angeles Air Raid of 1942.” The Army announced the approach of hostile aircraft and the city’s air raid warning system went into effect for the first time in World War II. The defense to this “attack” is described in dramatic terms in the opening paragraph of this chapter. But what enemy had been routed? No one ever knew. All the fire fighters saw in the sky were the 15 or 20 moving “things” which seemed to change course at great speed apparently unaffected by the flak from bursting shells all around them. Rumors that one had been shot down were never verified, nor was the explanation that these zig- zagging invaders were weather balloons ever taken seriously. In any event, for Chuck, that unforgettable episode aroused a continuing interest in UFOs, rivalling his professional fields of law and fire protection. The fact that he subsequently was a member of a group whose sighting of a flight of UFOs was authenticated by airport radar helped to sustain that interest. UFO Background Information With no intention of trying to prove or disprove the authenticity of the numerous UFO encounters often related by very credible witnesses including airline and military pilots, astronauts, police officers, fire fighters, members of Congress, and even a U.S. President, the balance of this chapter will present a brief history and nature of UFOs and their alleged occupants; their widespread sightings over the globe since ancient times; their appearance, propulsion origin, and possible motives for continuing reconnaissance. A quick look at some of the classic accounts of encounters documented in numerous foreign and U.S. publications might help us judge the magnitude of their threat, if any, to social stability, and, if deemed desirable, propose a fire service plan for coping with some of the conceivable catastrophic effects that UFOs could produce on cities and densely populated areas. For readers who already have made up their minds that there is no such thing as a UFO notwithstanding the overwhelming evidence to the contrary, it should be pointed out that there is circumstantial evidence that disastrous effects have already been attributed to UFO activity in more than one nation, including the United States. With no intention of trying to prove or disprove the authenticity of the numerous UFO encounters often related by very credible witnesses including airline and military pilots, astronauts, police officers, fire fighters, members of Congress, and even a U.S. President, the balance of this chapter will present a brief history and nature of UFOs and their alleged occupants; their widespread sightings over the globe since ancient times; their appearance, propulsion origin, and possible motives for continuing reconnaissance. A quick look at some of the classic accounts of encounters documented in numerous foreign and U.S. publications might help us judge the magnitude of their threat, if any, to social stability, and, if deemed desirable, propose a fire service plan for coping with some of the conceivable catastrophic effects that UFOs could produce on cities and densely populated areas. For readers who already have made up their minds that there is no such thing as a UFO notwithstanding the overwhelming evidence to the contrary, it should be pointed out that there is circumstantial evidence that disastrous effects have already been attributed to UFO activity in more than one nation, including the United States. Several theories have been propounded as to what they might be. Some scientists believe that they are of extraterrestrial origin– coming from other planets. Military officers conjecture that they might be alien aircraft. Some attribute them all to natural causes, such as meteors, comets, sun dogs, light reflections, marsh gas, ball lightning, even though they must admit that scientists cannot explain all UFO reports in that manner. Still others are inclined to believe that they may be forms from other dimensions which can materialize and dematerialize at will perhaps by making a wavelength or frequency transition so as to become invisible to humans. Some believe they are time travelers from the future. Witnesses have described the shapes of UFOs as anything varying from a sphere to a boomerang. Some have resembled flying saucers with a lid; others a glowing tube; some as semi-spherical with colored apertures; some with reddish-orange glows, or fire-like or sparking discharges. Incredible speed and maneuverabilities not attainable by aircraft of any kind are commonly observed. Many of the books and articles in Appendix H have excellent photographs of these unexplained visitors–photos that have been checked by experts for their authenticity. For hundreds of years mysterious objects in the sky and strange moving lights have been reported by many people, including the military pilots in World War II who called them foo fighters, (“Where there’s Foo, there’s Fire”). In the middle of the 1900s flying saucers were increasingly observed in the United States and other countries. Scientists at the University of Colorado hired by the Air Force from 1966 to 1968 to study this type of aerial phenomena could explain most of the UFO reports as a star (Venus), meteor, planet, balloon, rocket, artificial satellite, etc. Sometimes atmospheric conditions, aircraft exhaust trails, or unusual lighting conditions may produce optical illusions that observers thought were UFOs. After investigating more than 12,000 reports, the U.S. Air Force was unable to explain where the unexplained UFOs come from, but apparently concluded that the national security was not threatened by them. (41) The emphasis of the university’s team, headed by Edward U. Condon, seemed to be more concerned with the establishment of the emotional stability or instability of those who reported the sightings than with other evidence. The Air Force. after 20 years of being deluged with UFO sightings and spending millions of dollars on their investigation, decided to drop the inquiry business and turned the project over to a Kensington, Maryland, group called NICAP (National Investigation Committee on Aerial Phenomena). This left NASA (National Aeronautics and Space Administration) with part of the task of trying to run UFO sighting reports, including many by its own Apollo and Skylab astronauts. By 1974 over a score of astronauts saw and photographed UFOs during their flights beyond the earth’s atmosphere. Because of our recent adventures into space, there are some who speculate that UFOs are more concerned with what we will do there than in settling here. In any event, the Air Force’s official publication (issued by the Government Printing Office 1968) called Flying Objects says that ‘No UFO has been determined to represent a threat to our national security.’ That conclusion, however, should not rule out less disastrous consequences than the overthrow of our government. Adverse Potential Of UFOS Regardless of its past evaluations, the Air Force could be wrong about a number of things. “It can’t even guess within a couple of billion dollars what one of its planes is going to cost; maybe, despite the skepticism of the scientists and other investigators, the UFOs sent from other planets do exist and have visited earth.”(60) And maybe they have exhibited some destructive effects, whether or not intentionally in every instance, which we need to consider when drafting a plan for coping with an emergency situation where UFOs are involved. Some of these documented effects are as follows. The two principal hazards noted with relation to UFOs have been attributed to powerful electrical fields which they can project in a general or localized area and the psychological effects they have produced on the general populace or individual contacts. In addition to the impedance of radio transmissions and reception, such as that described in the preceding incident, telephone interference has occurred, illustrated by the chagrin of President Lyndon Johnson in having his conversation from the Texas White House cut off while talking to assistants in Washington, D.C.(64) The ability to render inoperable all electronic forms of communications, including those that control the launching of defense weapons systems, has been considered within the range of UFO capability. Whether this could extend to the erasing of recorded computer data such as bank records, personnel data, FBI, CIA, and NSA files, along with critical information of every kind, is not beyond the realm of possibility. It has long been suspected that UFOs have the capability of blacking out a city, state, or many states by exerting a force field sufficient to overload the circuits of public and private utility installations. “Few things are more disturbing than to be plunged into pitch darkness without warning; it is dangerous for masses of people. It paralyzes cities, blocks highways, stops trains, leaves elevators suspended between floors. In general it simply plays hell with the modern way of life.”(65) You would think that the power companies would have achieved sufficient reliability in their high tech systems that a mass failure such as that which blacked out New York and New England in 1965 would never happen–but it did. Although, as we have mentioned before, it was known that UFO activity was associated with disturbances with compasses. instruments, ignition systems, radios, etc., it was inconceivable that it could also interfere with generation and distribution of electrical power. Such a connection was also inferred in November 1953, when a glowing red object went over a residential area of New Haven, Connecticut, causing lights to dim out on both sides of the object’s path and then come on when it went out of sight. Power failures were also reported in association with UFOs in Brazil in 1957 to l959, Rome, Italy, in 1958; and Mexico in 1965. Likewise, in Uberlandia, where the power station operators promptly closed the circuits when the UFO apparently caused them to open, it did no good, and they were unable to restore the power until the UFO departed. “The Granddaddy of all blackouts to date was the stygian blanket that fell over 30 million people in the northeastern corner of the U.S. during the early evening rush hour period on November 9, 1965.”(66) Relay services that were supposed to automatically transfer the load in case of failure in one area to an alternate source malfunctioned. Military communications relying on public power without alternate backup systems also failed, but communications were operable to make a quick public announcement that there was no military emergency. Though it was largely over by the next morning, the official explanation about a malfunctioning small device in a Canadian hydroelectric generating plant never accounted for the failure of millions of dollars worth of electronic devices to shift the load when the breakdown occurred. Airplane pilots reported that UFOs were being chased across Pennsylvania about 4:30 P.M., and electronics and construction engineers who were driving in the area of the Syracuse airport saw UFOs moving about 5:30 P.M., just prior to the Great Blackout. A veteran flight instructor who had been flying over Syracuse on a training flight saw a glowing globe over the power lines leading to the Niagara Falls generating plant. Hundreds of others saw the glowing object in the sky on the night of the big power failure. Though most persons reporting UFOs do not interpret them as personal threats, it is possible that some of the large volume of reports may be attributable to hysterical contagion. In any case, one of the reasons often cited for the tight secrecy on government UFO research findings is the need to prevent the possible panic that a revelation of the truth might arouse. 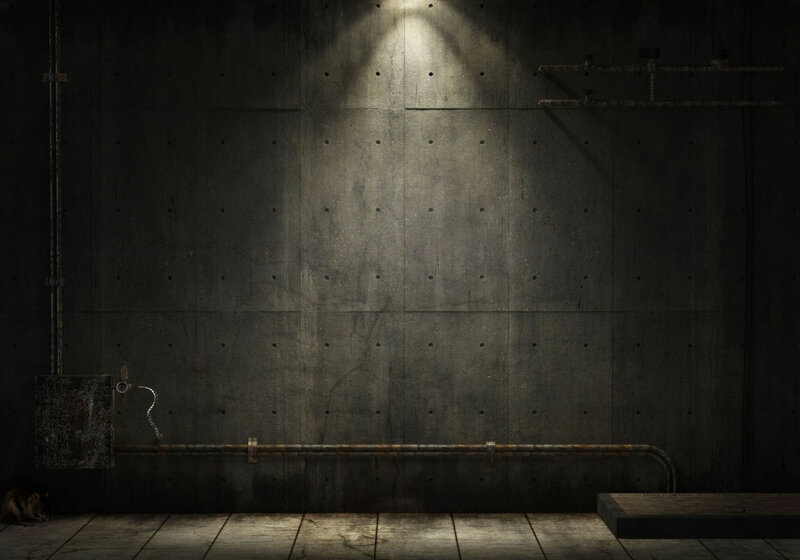 Rumors that people were being abducted, dematerialized, burned, made radioactive, rounded up and impounded, liquidated with ray guns and lasers or shipped off to Mars or Venus might well give rise to fear–fear of the unknown. Hysteria could cause frightened persons to imagine that their water was poisoned, the air contaminated with undetectable but lethal aerosols or nerve gases. With hundreds of UFO squadrons zooming across the landscape from California to New York, Toronto to Mexico City, communications disrupted, widespread power failures, airports and railroads paralyzed, highways turned into giant parking lots of immobilized vehicles full of terrified motorists, the problem of restoring order and sanity would be a tremendous challenge to all of the emergency services, assuming their personnel would remain calm, detached. and able to resist the human impulse to put the safety and well being of their own families ahead of the public’s. To make matters worse, some of the more excitable gun owners might be tempted to rush out Rambo fashion, and in utter disregard of the damage that falling bullets might cause innocent residents below their fallout, start firing at the evasive objects regardless of the range. The force field affects on the physical environment– communication, transportation, illumination, and computerized data storage–have already been considered. We might have added that some physical effects have been observed at locations where UFOs have landed– circular patterns of crops destroyed by heat or radiation and baking or sterilization of the soil at the site. Thus, UFOs may not only have the power to control some of our military and industrial establishment’s highly technical scientific hardware, they may also possess the ability to impose pain and control over people who attempt to attack them, even to the extent of “liquidating” them in one way or another. In view of the fact that many UFOlogists believe that we are fast approaching a time when overt landings of UFOs will become less remarkable, and in the absence of our knowing whether their visits are friendly or hostile, it would not be remiss to give some thought to the part that fire departments might play in the event of the unexpected arrival of UFOs in their communities. For example, what would be your course of action as an incident commander at the scene of a school ground where a UFO has crashed into the boiler room, rupturing a fuel line, and ignition has occurred in the spilling oil, endangering the occupants of the craft who are trapped in the wreckage? If your rescue attempts are successful, and two of the five small alien creatures are injured but still alive, how do you dispose of the dead and treat the survivors? How would the presence of children on the school grounds affect your actions? What persons and agencies would be notified? In view of the federal law (cited earlier) empowering NASA’s administrator to impound, without a hearing, anyone who touches a UFO or its occupants. it would be inadvisable to make personal contact unless you are willing to submit to NASA’s quarantine requirements, should the law be invoked. Perhaps the above warnings of Edwards and Vallee are a little too cautious and apprehensive to adopt as a general pattern of conduct in every situation. In the absence of overt acts indicating hostility, there may be no danger in approaching a landing (or landed) UFO with a positive, solicitous attitude of wanting to be of service. This nonaggressive mental state may be telepathically sensed by those aboard or emerging from the craft; a form of nonvocal communication is a possibility. It goes without saying that any display of firearms or other weapons on your part could be construed as unfriendly and likely to thwart your intention of conveying a helpful attitude. In a best case scenario, you may be able to obtain guidance as to the appropriate actions to take, whether of a life-saving nature, e.g., in quelling a fire, abating a spill, and of preservation of property, or even in the reduction of apprehension on the part of your response team and the spectators. In a less optimistic scenario, you may have engine trouble upon approaching the scene, and radio contact could be lost with your dispatcher. If at night, your headlights could go out, the city could be blacked out, and your portable generators may malfunction when you attempt to use them for fans and portable lights. It would certainly be an inopportune time for your comrades to announce that they had decided to take their pensions, effective immediately. In any event, the incident could provide invaluable experience for further training in coping with rare and difficult emergencies. Whatever “inside” information you are able to pass along to your fellow officers and citizens of the world might help to alleviate unreasonable fear, so that there would be less likelihood that we would ever again experience the panic and hysteria that was created by War of the Worlds a half century ago. Truth is the best cure for the unknown. A list of some of the available books on Unidentified Flying Objects (UFOs) is found in Appendix H.
Some fire chiefs have little confidence in disaster plans, especially those dealing with UFOs or enemy attack. If you develop a plan that sets forth your responsibilities, resources, organizations, supplies information, telephone numbers, and special data that will be useful in obtaining help and fulfilling your role in disaster control, commit it to an electronic medium, a computer with a capability for continuous updating through modern word processing. Bring it forth when the need requires. With a good plan, good leadership, and adequate resources, you may save many lives in any disaster, including attack from possible enemies. 1. Smith. Iack. “The Night L.A. Bombed.” Los Angeles Times, September 9, 1975, Part 1, p. I . 2. World Book Encyclopedia, Volume 21, p. 21, Chicago, IL Field Enterprises Educational Corporation, 1976. 3. Cloud, Stanley W. “Gathering Storm” in Time, September 3, 1990, pp. 24-28. 4. “Secret History of the War” in Newsweek, March 18,1991, p.28. 5. “Snubbing People Power” in U.S. News ~ World Report, April 8,1991, p.38. 6. World Book Encyclopedia, Vol. 21, p.22. Field Enterprises Educational Corporation, Chicago, IL 1976. 7. “Preparing for Iraqi Chemical Warfare,” photo and story in Time, September 3,1990, p.26. 8. “Steel Rain’ in Newsweek, March 18,1991, p.31. 9. See note 2, volume 9, p. 416. 10. See Chapter 8 for a more in-depth discussion of terrorism. 11. Gilliam. l. “A-Bomb Materials Can Be Stolen, Expert Says,” Los Angeles Times, December ll. 1975, Part Il, p. 1. 12. Nuclear Blackmail Emergency Response Plan for the State of California, Officer of Emergency Service, State of California, June 1976. 13. “After the Storm” in Newsweek, March 11, 1991, pp. 26-29. 14. Nuclear Attack and Industrial Survival, McGraw-Hill Publishing Company Special Report, 1962, p.52. 15. Willenson, K., and L. Norman. “Missiles on the Move” in Newsweek, February 16, 1976, p.42. 16. CBS News broadcast, April 1991. 17. Disaster Planning Guide for Business and Industry, Defense Civil Preparedness Agency, 1974, p.7, U.S. Government Printing Office, Washington, D.C.
18. L. A. Postal Report, Volume 10, No. 9, April 23,1965, p.2, Los Angeles, CA. 19. Worldwide Effects of Nuclear War–Some Perspectives, a Report of the U.S. Arms Control and Disarmament Agency, 1975, p. 5, U.S. Government Printing Office, Washington, D.C.
21. “Turning Up the Heat on the Greenhouse” in Newsweek, April 22, 1991, p. 69. 22. See note 19, p. 6. 23. Seenote 19, p. 5. 24. “Deadly Meltdown” in Time, May 12, 1986, p. 39. 25. “A ‘Big 50’ for Pearl Harbor in USA Today, Thursday, May 9, 1991. p. 3A. 26. 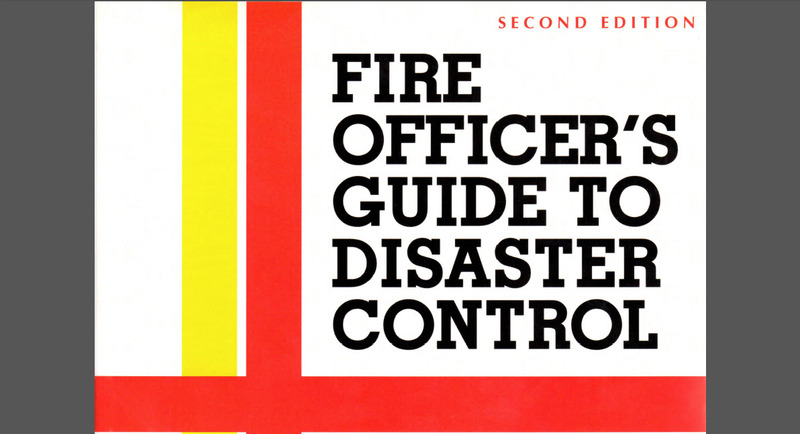 Bahme,.Charles W. Fire Officer’s Guide To Disaster Control, Ist ed., Boston, MA: NFPA 1978, p. 340. 27. Fire Effects of Bombing Attacks, Technical Manual 9-2, October 1959, Office of Civil Defense Mobilization, U.S. Government Printing Office, Washington, D.C.
28. Fire Aspects of Civil Defense, TR-25, Office of Civil Defense, July 1968, p. 4, U.S. Government Printing Office, Washington, D.C.
29. World Book Encyclopedia, 1991. 30. Disaster Operations, Defense Civil Preparedness Agency, 1972. p. 29, U.S. Government Printing Office, Washington, D.C.
31. Bruno, Hal. “The Wait May Be Over at FEMA” in Firehouse, Vol. 15, No. 5 (May 1990) p. 10. 32. See note 30, p. 40. 33. The U.S. Government Printing Office, Washington, D.C. has several publications available as of 1991 which suggest measures that can be taken to safeguard dwellings and other buildings, in preparation for a nuclear attack; they illustrate the relative protection afforded for fallout radiation by various types of construction and in various locations within a building. Two available from the U.S. Government Printing Office, are Fallout Protection and ln Time of Emergency, both Office of Civil Defense. 34. Weldon, Curt. “The Fight for Fire Protection” in Firehouse, Vol. 16, No. 4 (April 1991), p. 20. 35. Radio Broadcast on station KSHE, St. Louis, MO, reported on April 25, 1991. 36. Edwards, Frank. Flying Saucers–Serious Business, NY: Lyle Stuart,965. p. 315. 37. World Book Encyclopedia, World Book Inc., 1988, Vol. 20, p. 19. 38. Sagan, Carl, and Thornton Page. UFOs–A Scientific Deoate, Cornell Univ., 1972, p. 44. 40. Readers Digest. Mysteries Of The Unexplained, p. 219. 41. Steiger, Brad, Editor. Project Blue Book. NY: Ballantine Books, 1976, p. 170. 42. Uphoff, Walter and Mary lo, New Psychic Frontiers, Colin Smyth Ltd., 1975. p. 152. 43. Ibid., quoting Dr. James Harder, University of California. 45. Macomber, Frank. “UFOs Spotted by Astronauts Still Haven’t Been Identified,” Santa Cruz Sentinel, April 17, 1974, p. 30. 46. APRO’s addre$s was given as 3910 E. Kleindale Rd.. Tucson, Arizona, 85716. 47. Lorenzen, lim and Coral. UFOs Over America, NY: Signet. 1968, pp. 182 et seq. 49. Lofton, Robert. ldentified Flying Saucers, NY: David McKay Co., 1968, p. 86. 50. Kehoe, Donald, Major. Aliens From Space, The Real Story of the UFOs, New York: Doubleday, 1972. 51. Friedman, Stanton. Cosmic Watergate, New Realities, 1979; Hvnek, l. Allen. “UFOs.” This World, Aug. 30, 1981, p. 13. 52. Zullo, Allan A. “I Believe That Earth Has Been Visited By Creatures From Outer Space,” National Enquirer, December 1973. 54. Press Democrat, October 10, 1989, p. A-5; also reported in weekly news magazines; see notes 22 and 23. 55. Time, October 23,1989; Newsweek, October 30,1989; UFO update, Omni, January 1990. 56. U.S. News ~ World Report, “UFOs in Uncle Sam’s Closet,” October 23, 1989, p.19. 57. Streiber, Whitley. Communion, NY: William Morrow, 1987, p. 15. 58. Adamski, George, lnside the Flying Saucers, NY: Paperback Library, 1967. p. 11. 59. Fuller, John. lncident at Exeter, cited in UFO Update, in New Realities,1978. p.52. 60. “Shooting Down The Flying Saucers,” Los Angeles Times, December 15,1959, Pt. Il, p. 5. 61. Boudreaux, Richard. “South Americans Take UFOs Seriously,” Los Angeles Times, November 29, 1978. Pt. VI, p. 7. 62. See note 6, p. 224. 63. Randles, Jenny. The UFO Conspiracy, NY: Sterling Pub. Co.. 1990, p. 105. 64. See note 1, p. 267. 65. See note 1, p. 255. 68. See note 4, p. 216. 69. Blundell, Nigel, and Roger Boar. The World’s Greatest UFO Mysteries, NY: Berkeley Books, 1990, p. 175. 72. Vallee. Jacques. The Invisible College, NY: E. P. Dutton, 1975 p. 6.